Our team is small and mighty. Each member contributes specialized skillsets and a breadth of experience to offer thorough assessments and fully-integrative treatment plans. Clients comment on how effectively we work together – we like to hear that because it means you’ll benefit from our collective best, personalized for you! 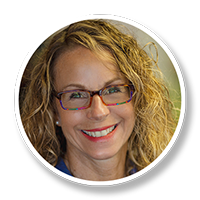 Carla holds a Bachelor of Nursing Science from Queen’s University, a Master of Public Administration from Queen’s University and a Nurse Practitioner Primary Care Advanced Certificate from York University. As well, she holds Restorative Medicine certificaton with the Association for the Advancement of Restorative Medicine, Therapeutic Lifestyle certification from Metagenics, Chelation Technician certification from the American College of Advanced Medicine, Applied Nutritional Microscopy cerification from the Edison Institute of Nutrition, HeartMath Coach/Mentor cerification from the HeartMath Insitute and is recognized as an Ontario Bioidentical Hormones Specialist. Carla is also trained in natural therapies, functional medicine, psychotherapy, IV therapies and energy therapy. 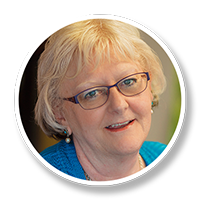 She is a founding member of the Retirement Homes Regulatory Authority that strives to improve the care for Ontario seniors. 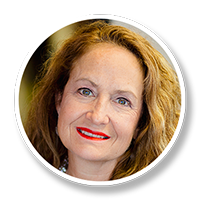 Carla is regarded as a excellent clinician in identifying and treating chronic disease and metabolic disorders from a natural functional medicine perspective, and is a recognized speaker and workshop leader on many topics with respect to health and healing. 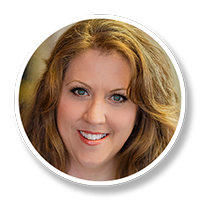 Carla founded Heartful Wellness in 2004 because she has struggled with many different health challenges in her life – and reclaimed her health through alternative and natural medicines. Carla and her family have lived in Hanover since 1998. An avid and competitive swimmer, she can often be found at the Hanover Regional Aquatic Centre swimming for pleasure or preparing for a race. Sue has been working in the healthcare field for more than 28 years. She is a certified PSW and has additional training in palliative, acquired brain injury, and mental-health care and has experience in a variety of settings including home care, mental health, long-term care, ambulatory/mobility equipment sales and service, and management. 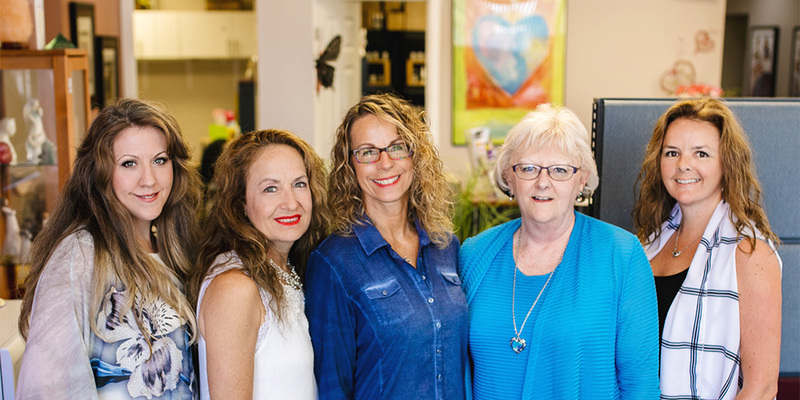 Sue joined Heartful Wellness (then called the NEX Health Centre) in 2007 because working with Carla offered her the opportunity to support and care for people, and use her organizational and office skills. Sue and her husband live in Allan Park, where she especially enjoys walking Shep, her much-doted-on pooch in the conservation area. She also likes entertaining family and friends, and quiet time reading a good book. Heartful Wellness is a safe and supportive place to feel vulnerable. We understand the physical and emotional vulnerability you may experience when you are ill or simply not feeling your best. We’re here to provide a safe and supportive environment where you feel cared for and looked after, and where you can heal. Michelle Neuman has a Bachelor of Science in Nursing from McMaster University. Much of her nursing career has been spent in critical care, as well as teaching about wellness issues. Michelle joined Heartful Wellness, her “happy place”, in 2008. Her main role is overseeing the IV Therapy program, as well as being a conduit for healing. 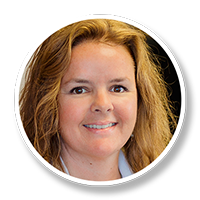 She is passionate about bringing healing to clients, and exploring their physical, emotional, and spiritual needs via functional medicine. Providing a safe, caring, and light-hearted environment is her goal. Michelle is a resident of Hanover. She enjoys cycling, gardening, camping across Canada and spending time with her family! Brie Becker is a certified Medical Lab Technician. She has a passion for continuous learning and growth within her field, as well as acquiring knowledge about alternative healing modalities such as cranial sacral therapy and healing touch massage. She has her Reiki Level 1 certification. Brie joined Heartful Wellness in 2014. She enjoys having a more supportive role in our clients’ healing journeys and seeing the body heal when given the right tools. Brie and her husband live in Hanover. Her love for animals and desire to help others heal inspired her to complete the Animal Reiki course in 2018. Carrie has spent much of her work life in customer service. Before joining Heartful Wellness, she spent nearly a decade working for a family physicians group. Carrie joined Heartful Wellness in 2018. As receptionist, Carrie is your first point of contact. She has an extraordinary capacity to care for and support others – you will feel most welcomed and looked after at every visit. Carrie is a resident of Hanover where she lives with her husband and three children. She enjoys walking, reading, spending time with family and practicing yoga. The Medical Director of the Heartful Wellness Centre is Dr. Fred Hui. More information about Dr. Hui can be found on his website.